It is almost a bad word in itself: resolution. And yet I find it kind of freeing to figure out what I am going to accomplish in the coming year. Every January my family and I make our resolutions, or goals, and we have fun doing it. Who would not want to fly around the world in a hot-air balloon? Yes, we shoot for the stars with some of our goals! But why limit these resolutions to ourselves, when we should also include out pets! Maybe it is time to commit to helping Buddy lose a little weight, or perhaps pledging to start brushing Fluffy’s teeth (yes, daily!). It could be as simple as taking Rover on a longer walk in the mornings to build up his muscles to help with his early arthritis. Sometimes it is the little things that make the biggest impacts. 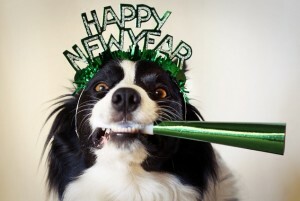 Lets start the new year on the right foot, er, paw, and make some positive changes for our furry friends. We will be publishing more specific articles in our upcoming blog posts detailing more specifics on these topics and more! With resolutions and wellness in mind, we are once again revving up to provide pet educational workshops here at Southpoint Animal Hospital! We have covered many successful topics in the past, but we would love to see what would excite you to learn in 2018. We hope to be offering a workshop every three months. To collect your feedback, we are going to have a poll, and will pick the topics that get the most interest. Simply complete the form below, choosing the topic you would most like to learn about; voting will close January 16th, and we will send an update with more information once the votes are tallied.